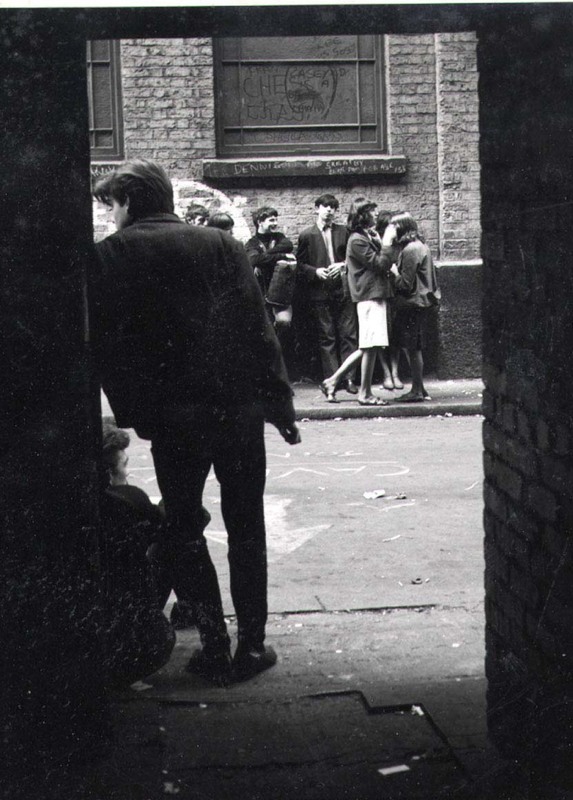 I went to the Cavern between the ages of 15 and 19, so that would be 1962-66. The first six months was when I was a student at Machin & Harpers Secretarial College just off the top of Bold Street. Some afternoons, several of the other students and I would call into college saying we couldn’t come in that day for various made-up reasons. Typically, the next day our typing teacher would ask who had been playing the previous lunch-time in the Cavern! After that, I started working just off Old Hall Street and lunch time was always spent in the Cavern, meeting up with my then boyfriend Pete. I have a 33rpm recorded in the Cavern called This is Mersey Beat with the opening intro by Bob Wooler. The artists appearing on this LP are: Faron’s Flamingoes; Earl Preston and the TT’s; Sonny Webb and the Cascades; The Mersey Beats; Derry Wilkie and the Pressmen; Rory Storm and the Hurricanes; Ian and the Zodiacs; The Del Renas, and Mark Peters and the Silhouettes. These were probably the lesser known groups of the day, but I saw them all. The more reknowned groups I recall are The Beatles, Gerry and the Pacemakers, Billy J Kramer, Pete Maclaine, The Big Three, The Fourmost, Freddie and the Dreamers, The Remo Four, Kingsize Taylor and the Dominoes, The Searchers. My favourites, of course, were the Beatles, Gerry and Pete Maclaine, and I also enjoyed The Big Three. The only group that I don’t recall every going to see was The Undertakers. I do have some stand-out memories from that time. One was Cilla being in the cloakroom to the right of the stage and laughing hysterically during a conversation she was having. Freddie of Freddie and the Dreamers leaned forward and moved the mic stand around the corner until Cilla realised that her laughter was coming through all the speakers and squealed. The day that Cilla was about to audition for Brian Epstein, there was a chain of people from NEMS down to Paddy on the door, passing the signal along so that as Brian came down the steep steps, Cilla was on stage singing Ecstasy with the Remo Four. I think Brian signed here there and then. On one occasion I was leaving to go back to work at the same time as Cilla, so we walked back together as far as Exchange Flags, where I presumed she worked. Lunch time sessions started at 12.30. I was there earlier one day when the Beatles were due on. I was standing at the back by the cafe just having been served, when John and George came in and straight to the counter. As they lifted their drinks they turned to me and asked what time it was, my answer, time you were on! When they took a break some time later, George came out of the band room and was surrounded by girls wanting his autograph, I joined them at the back and George suddenly looked up, saw me and said “Hello”. I was given daggers by many of those girls, but it’s a treasured memory. Leaning on the doorway of the Cavern watching the world go by. One lunch time session, Gerry was due on and at 12.30 was missing. He was discovered drinking in The Grapes. A group of the clubbers went down there and bodily carried him back and pushed him on stage. I also remember family coming to see us at our house in Park Lane – we lived a few doors down from Paul’s uncle and aunt. His uncle Joe did all the plumbing in our house. This particular Easter there was an all-night session being held at the Cavern and Pete, my boyfriend then, and I wanted to go, and to be suitably attired. 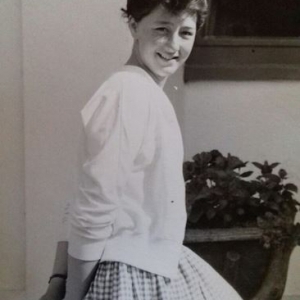 So Mum was told we were going to Bangor in North Wales with Pete’s mum Dorothy and that her sister wanted to see us dressed as typical beatniks. Off Pete and I went to queue from about 9am until the doors opened at 4pm. But unbeknown to us, Mum called Dorothy at about 11pm to be told it didn’t finish until midnight. Needless to say, I was questioned when I got home, lied through my teeth and then got faced with the reality of the phone conversation! I stopped going to the Cavern when I got engaged to my future husband Bill in 1966.